Apple has brought tons of new features to iOS each year since their mobile operating system made a debut on the original iPhone in 2007. Just a few advancements include the App Store, multitasking, FaceTime video chat, and a personal hotspot. While Apple deserves complete credit for kick starting the smart phones and tablets revolution, there is still plenty the company can do. iOS still has many weak spots and here are just five features that could add even more value to their mobile devices. After unpacking an iPad 2 or iPhone 4, new owners still need to tether to a Macintosh or Windows computer with iTunes installed and a network connection to activate their device. While smart phones and tablets are not replacements for full-fledged laptops and desktops just yet, things are heading down that road for many buyers. Developers and geeks might not switch over to a mobile device anytime soon, but there are a countless number of people who only need to get online for browsing the web, checking emails, and other simple tasks. 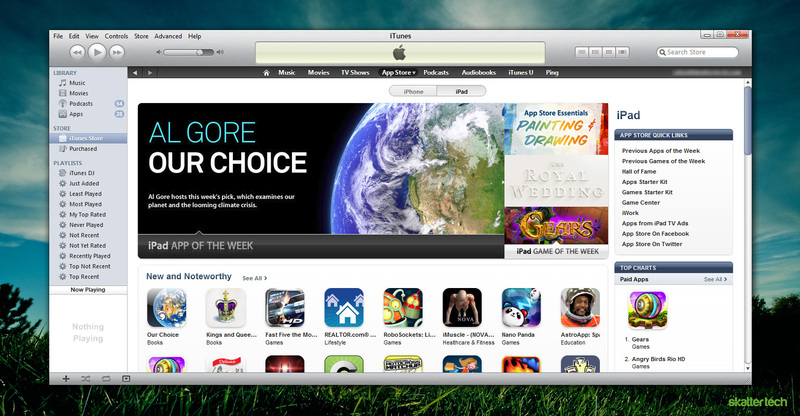 Apple needs to cut ties with iTunes making iOS capable of becoming an entirely self-sustaining standalone platform. Even updating an iPad, iPhone, or iPod touch is still a tedious process. Having to download a large file to your computer, letting iTunes to back up your data, waiting for the files to copy over for installation, and then watching your device reboot is painful. For instance, Android can perform self-upgrades on its own with access to a wireless network and iOS should do the same. 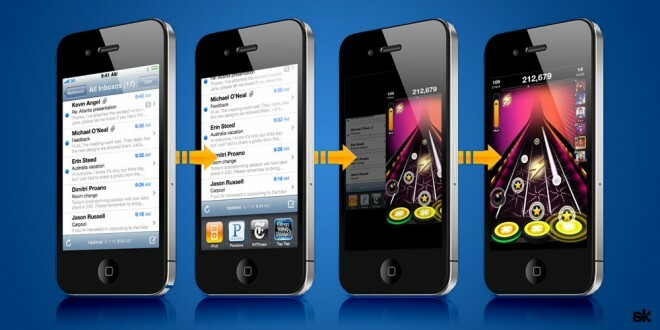 Apple has strict guidelines and limits multitasking to only certain categories of apps to maintain efficiency. While some users believe that iOS should let users have freedom to manage running applications on their own, the current solution is simple and foolproof for the average user. I doubt that Apple will change the ideology behind multitasking in iOS, but I think they should offer a fancier interface for navigating through open apps. Mac OS X features a Expose and Spaces for visually switching between open programs. Even Android 3.0 Honeycomb features thumbnails for the six most recently opened apps. Rather than a list of icons in a horizontal tray at the bottom, Apple should consider introducing an interface with screenshots of running applications for easier identification and rumors indicate that this is already in the works. While Apple’s App Store still out does competition with a large high quality selection, other things are starting to get a bit rusty. Browsing for new apps in iTunes is often ridiculously slow and syncing a newly downloaded app to device can take forever. Using the App Store directly on an iOS smart phone or tablet can get frustrating too. For instance, users still need to key in a password every time they want to install or upgrade an app even if it is free. In addition, iOS switches over to the home screen after you initiate an app installation. This may seem convenient at first, but it gets annoying having to repeatedly switch back to the App Store when installing multiple. Google makes it possible to select several apps from the Android Marketplace and watch them simultaneously download and install in the background without interrupting your workflow. Apple also needs to take a hint from Google’s web-based Android Marketplace and introduce their own browser-based solution which can push apps to iOS devices over the air without any cables. When push notifications first made an appearance on iOS, it was quite impressive since not having to poll for new data at preset intervals conserves battery life. Unfortunately, this interface that goes with it has not changed much since launch. With tons of apps providing instant alerts from social networks and other services, these pop-ups begin to disrupt the task on hand. For instance, Twitter mentions or calendar appointments pause playback of a video on Hulu Plus or Netflix. Users also need to either dismiss or react to a notification immediately with no way to ignore one temporarily. The upcoming HP TouchPad, which runs on webOS, lists incoming notifications in a menu bar and lets users clear items when complete. Even Google’s Android 2.x for smart phones and Android 3.x for tablets offer a robust notification manager. Apple needs to revamp the entire system as it plays a major role when it comes to keeping track of uncompleted tasks. Extra additions such as details on the lock screen could provide information at a glance. When Apple first introduced the iPod, it served one sole purpose: music. Today iOS features an app named iPod, but the included feature set varies between each device. 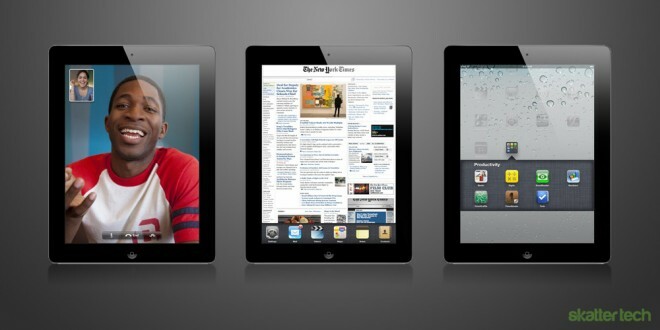 For instance a single app contains music and videos on the iPhone, but the iPad ships with separate apps for each. When it comes to purchasing new content, iOS devices feature icons for the App Store, iTunes Store, and the iBooks Store. On your computer, the iTunes program integrates all of these into one place. These issues were not apparent early on, but Apple needs to begin restructuring to keep things consistent. I also think it is about time for Apple to revamp the default set of apps. The Mail app could get drag and drop organization and better threaded conversations. The Safari browser needs a tabbed interface for easy switching between multiple webpages. FaceTime should begin offering video calls over 3G and 4G networks. The Maps apps needs turn-by-turn navigation with voice guidance out of the box. The Universal Search should look through third-party apps when applicable. I also find that dealing with settings is often annoying. Apps currently let users customize options in two places: within the app and in the iOS settings panel. Most developers stick to offering those preferences in one place or the other, but I have seen many split settings across both locations. Apple should clean up this issue by either restricting settings for third-party apps to just one place. Most of these recommendations are merely gradual improvements that could make iOS better, but Apple needs to go above and beyond. Although iOS devices are selling better each year over the last, it does not feel as though the platform is as revolutionary as it once was when it made a debut in 2007. Going head to head with Google’s Android platform, iOS needs to introduce even more creative ideas and an unparalleled set of features to give them a major boost for another few years. Great suggestions, especially the first one. What about sending same text to multiple recipients by choosing multiple recipient from address book? I think you can already do that, right? I remember doing it on my iPhone last year. I can’t stand the pop-ups interrupting me while I’m watching video. They need to have a way to list which apps should have pop-up notifications disabled while they are active. I don’t want to have to remember to manually turn off all notifications when I start and back on when I stop.